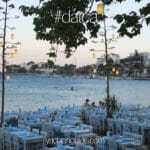 One of the most alluring historic countries in the Mediterranean is Turkey – as many of us know. For travelers who have explored the culture, history and cuisine have also been attracted to its impressive coastline. This magnificent region of Turkey is particularly exciting when embarking on a yacht charter holiday on board a classic style wooden sailboat called a gulet. As these types of vessels are not found globally as much as motor yacht charters, gulets create a curiosity for seafaring holidays in the open seas. What makes them so different is the fact that they are each so varied in size, design, interior decor, quality and crew. Gulets are not built based on standard factory molds, but rather more customized in details. 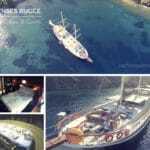 When you decide on a luxury yacht charter Turkey vacation, it might be a thought to consider a holiday in the Mediterranean on board a gulet. 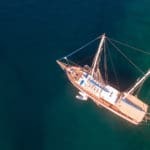 Keep in mind that sometimes choosing a gulet that is right for you and your guests might make for a bit of a difficult decision as there are so many beautiful wooden gulet sailboat charters available. The destinations and nearly endless. The waters change color with the mood of the weather. From many of the emerald-like tones in the private bays to the array in the shades turquoise. Sometimes when there is not a single cloud in the sky, the waters reflect a magnificent rich blue – almost picture perfect. 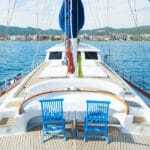 This is best noticed when you are sitting in the shaded aft deck, gazing out to sea and the lush green surroundings.